Ever since I visited the Pop & Scott x Pampa showroom in Byron Bay earlier this year, more specifically after I spied this lush green velvet sofa, I’ve been obsessed with dark green decor. And it’s not just me. I’ve noticed a big shift towards this colour. I mean, it makes sense since the colour of the year is ‘greenery’. Although these darker shades of green are much more palatable than the Pantone version. I’m especially loving the look of dark green bedding and velvety textures for winter. Move over millennial pink, it’s all about forest green right now. Click on the images or links below for my picks for forest green decor. When I first saw these images from the California Dreaming series by photographer Stephanie Kloss I immediately thought that they were vintage photographs. I mean, just look at all that classic mid-century modern architecture. Not to mention the era-appropriate ‘living sculpture’ who brings interest and intrigue to every shot. Imagine my surprise, then, when I realised that these photographs weren’t taken in the fifties and sixties aka the golden era of mid-century modern design but much more recently. The photo series features iconic examples of mid-century modern architecture including (from above) Case Study House #10, Frank Sinatra’s residence, and Palm Springs City Hall. You can see more of the series and Kloss’ work online at LUMAS Gallery and purchase prints here. When it comes to makeup I’m always trying out different brands in search of ~the best~ products. As such, I haven’t always had a set beauty routine or holy grail products that I’d happily rave about. Until now. I love having a sticky beak into other people’s beauty kits and makeup routines so I thought it was only right that I offer up the same opportunity. I don’t like my makeup to feel too heavy so some of the main criteria products have to pass is that they’re lightweight and easy to use. A few of these products I’ve only started using in the past couple of months but I’ve already decided that they’re here to stay. These are the products that I find myself using on the daily. As far as interior decorating trends go, indoor plants are back in a big way. While I love the look of lush indoor greenery, I’m not the biggest green thumb so I’ve found myself looking at plant books for guidance and inspiration. My most current acquisitions include Indoor Green: Living With Plants by Bree Claffey and an old beat-up copy of The Complete Book of Houseplants & Indoor Gardening. Luckily there’s no shortage of books about plants out at the moment and these are a few others that I have my eye on. 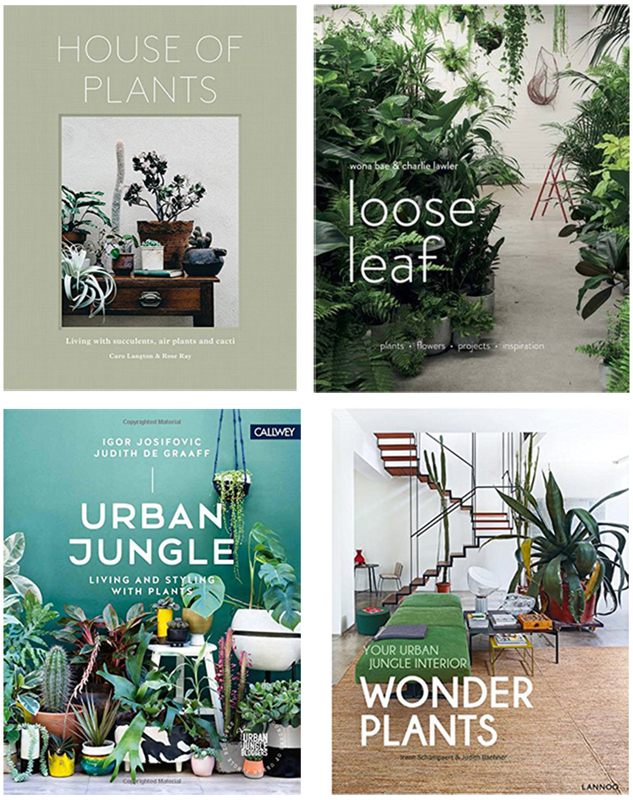 House of Plants by Caro Langton and Rose Ray; Loose Leaf by Wona Bae and Charlie Lawler; Urban Jungle by Igor Josifovic and Judith De Graaf; Wonder Plants by Irene Schampaert. Do you have any plant books that you’d recommend for the aspiring indoor gardener?